We know you are in search of the perfect Home. At Team Beesley, we know home is not a home because of its room dimensions or the color of the walls. It is about how you feel when you walk through the front door. And the way you can instantly envision your life unfolding there. This is about more than real estate. It is about your life and your dreams and our experienced, knowledgeable agents are here to help you build a bridge to your dreams. Here at Team Beesley, you can trust we have a strong commitment to honesty and integrity, trusted resource for answers about the process, innovative marketing strategies, expertise about neighborhood features, ability to target home searches, strong negotiation skills, and support through the closing and beyond. Here you can find new homes for sale on the Monterey Peninsula and other communities we serve. From Monterey Peninsula homes to affordable condos or town homes that are perfect for first time home buyers, family, people relocating in the Monterey area, retiring or those who are downsizing -- we have something for you! 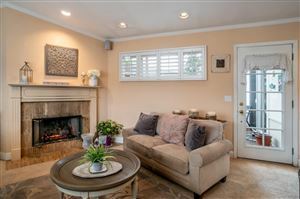 We serve different communities so whether you are looking for homes for sale in in Carmel, Carmel by the Sea, Carmel Valley, Highway 68, Marina, Monterey, Pacific Grove, Pebble Beach, and Seaside, we have a lot of homes for you to choose from. We also have homes for sale in great neighborhoods in the Salinas area. You can access thousands of listings from these communities and learn more about the latest Upstate development or real estate market news from our blog site. Our agents are here to give you the highest level of customer care. We are here to help you with your Monterey Peninsula real estate home buying and selling needs. Ben Beesley is the Team Co-Founder and Local Expert, whose high level of understanding of investment opportunities, second homes and luxury estates benefits every client relationship. Ben is a second generation native of the Monterey community and has been a part of the Carmel community for over 40 years. When you hire Team Beesley, you get the benefit of over 15 years of our real estate knowledge and advice. We are eager to share our real estate experiences with our clients to help them achieve their real estate dreams and goals. To find out how we can help you, feel free to call any time at 831.204.3188. Thank you for taking interest in Team Beesley to help you with your real estate goals and needs in the Monterey Bay area. This website is full of information for you whether you are looking to buy or sell. After you have had the chance to review this information, contact us so we can tell you more about how we can help and be of service to you.